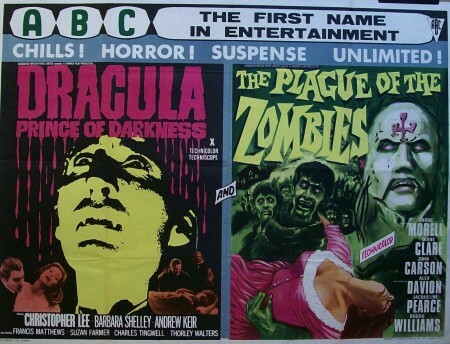 One of the reasons why there has never been a ‘definitive’ Hammer film collection available is that the rights were in such a spectacular mess that no previous owners of the company were ever able to fully unknot them. Worse, the films exist in different versions. The new owners of Hammer have finally got it right, and are slowly but surely correcting decades of mistakes. ‘The Woman In Black’ has become their biggest success, and now comes the start of the Blu-Ray releases of the originals. Several reels of the Japanese print of ‘Dracula’, the first Christopher Lee film, were found in storage, so that a complete print has been struck which contains two brief moments never before seen in this country. There has been a bit of online argy-bargy about the quality of the new releases on Amazon, but I think this is to do with Amazon’s policy of running older reviews on sites for new releases. It seems that even when the Hammer honchos are getting it right, others continue to muddy the waters. Of course, the films have dated in terms of editing – some shots now seem glacier-slow – and yet the power of the films still creeps up on you, especially once you get in the right frame of mind and watch them back-to-back in pairs, as they originally appeared in double bills at the cinema. After a while, these wonderful fables begin, as it were, to bite. I watched ‘Kiss of the Vampire’ and ‘Nightmare’ last night, and found what were once regarded as ‘sick filth’ now gently reassuring, like a favourite grandpa. And for the record, here’s what I said about ‘Dracula, Prince of Darkness’ at the age of 14 in ‘Paperboy. At the start of the main movie I was teased with the end of the first Hammer Dracula film, which I’d been too young to see. Dracula had shrivelled in sunlight, so I knew that the count was dead. With tension creeping up my arms and legs, I waited for him to reappear. And waited. 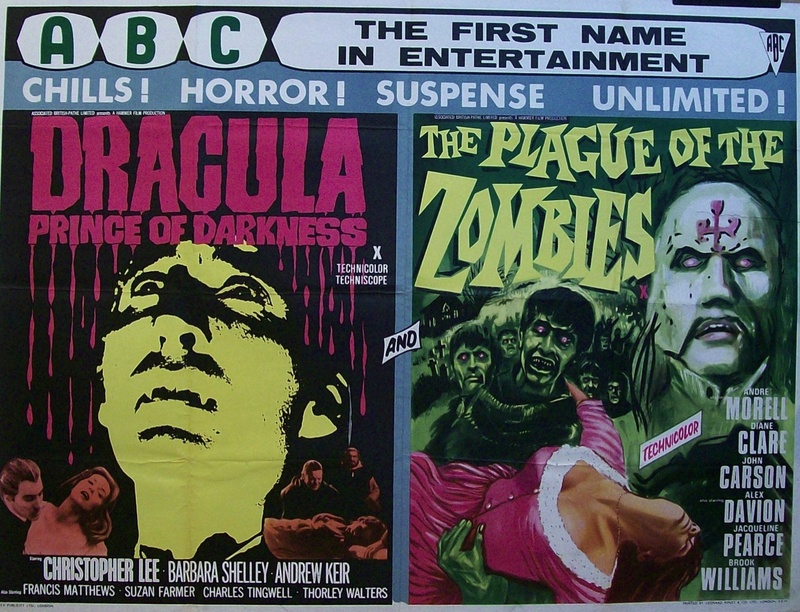 (This was a number of years before Hammer lazily allowed bats to vomit blood onto Dracula’s ashes to revive him). The next forty five minutes represented, for me, one of the purest sequences in horror history, as the camera prowled the gloomy corridors and I wondered; he’s been bloody cremated, so how the hell can they bring him back? When the servant Klove slipped his sacrificial victim’s feet into a noose I was even more puzzled, so that the upside-down throat-slashing over Dracula’s ashes came as an astounding shock. The scene was originally to have featured a beheading, which would have been much less effective. Luckily the censors had rejected that idea in favour of a blade across the jugular, proof (if any were needed) that they hadn’t the faintest clue what they were doing. Nothing could ever recapture the peculiarly effortless sensuality that made the film work so well in the cinema. The film grew more perfunctory after its bravura opening, but for a while it was perfect. It played like a stripped-down version of the traditional legend. The coach-driver refused to look up at the impossibly baroque castle, prim, pent-up Barbara Shelley was transformed into a sensual (and somewhat middle-aged) hellcat, Dracula was invited in by a feeble-minded lunatic, crucifixes seared, fangs were bared with a hiss, James Bernard’s sinfully lush score was backed by the ever-present moaning wind, and a dimwitted man of the cloth made a nuisance of himself. The only real romance on display was an unhealthy love of all things dead, and even the happy ending reeked of melancholia. How could this not have been the start of a life-long love affair with horror and fantasy? Steve: “nemA” might be more inappropriate,here. sreehC. Deep sigh. What in the name of all that’s unholy am I doing reading this blog? I do not like vampire movies – or zombies. It takes very little to scare me… oh, yes, Bryant and May. Helen: Knowing a bit of British English-speak, but not being a native speaker, I hope it is appropriate for one North American speaker to another to whisper: Hang in, get a grip. Bryant & May, of course, but from my reading of three/four dozen of our host’s short stories, I’d say the majority of our Admin’s shorts are broadly horrorific, not slasher graphic. Irony really stalks his stories. And the chilling scenes – based on my limited reading again – are on a par with the murder scenes in the last two Bryant & May novels. You would suggest you hold off on the Hell Train for the moment. In my experience Dan is almost always right. See the weasel word in there? I’m reading a Paul Doherty on his recommend but he spoiled it for me by mentioning Doherty’s lists so now they register as soon as they come up and I think he may be wrong in stressing family names in the early 14th century. Dan recommended Sansom, too, and I think I’m really going to enjoy that although there was an Ian Sansom next to it and as a former librarian I couldn’t be expected to let that lie unread.